Home / Blog / How Long Should Shingled Roofs Last? Did you know that asphalt shingles are the most common roofing material used in North America today? In fact, these old standards of the roofing game have been the go-to for pitched roofs in Canada and the United States for more than 50 years. They are durable, affordable, and effective in providing the protection a roof is meant to offer. That being said, they certainly do not last forever. So, how long should shingled roofs last? 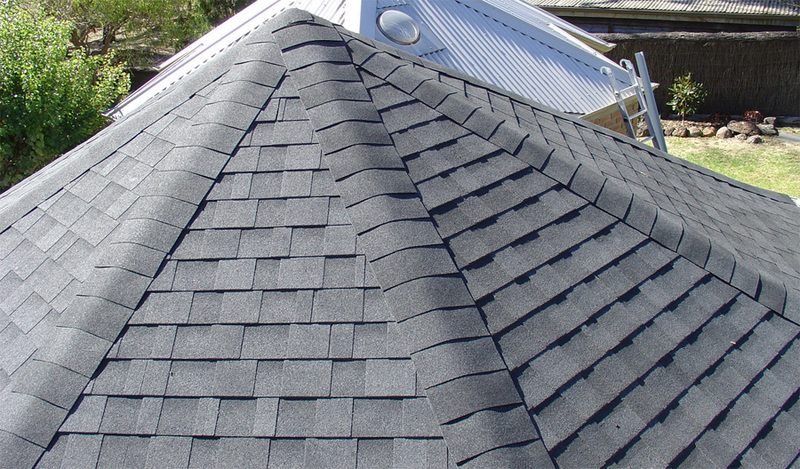 Let’s talk ideal world first – in the perfect climate for asphalt shingles and under perfect circumstances, your shingled roof will last 30 years and sometimes more. But, we do not live in an ideal world and there are many factors that can influence the life expectancy of a shingled roofing. What are these factors, you may be asking. Well, the first and most obvious factor that will impact the lifespan of a shingled roof is weather. No matter how fastidious the homeowner or how experienced the roofer, roofs that must withstand inclement weather such as rain, snow, and high winds will not last as long. Moving on to another factor that impacts the lifespan of a shingled roof, it’s time to talk about the homeowner. That’s right; you bear significant responsibility as a homeowner in protecting your roof and extending its life expectancy. What can you do, you may ask. It’s simple – you must regularly schedule roof inspections to make sure that your roof is well-maintained. Fixing minor damage ultimately prevents major problems from developing. A small leak will eventually contribute to significant damage as underlying roofing structures are more likely to rot or decay. Similarly, ensuring your roof is free from moss and algae will keep shingles in better condition so they will last longer. You also need to make sure your gutters and eavestroughs are clear so that water can effectively drain from your roof. Another factor that home owners may not consider is proper ventilation for their roof. Adequate air circulation between the inside and outside of your home prevents condensation from forming in roofing structures and ultimately translates to improved roofing durability. And this brings us to the next factor that impacts shingled roofs life expectancy, the expertise of roofing professionals. During roofing installation, it is important to work with a qualified roofer who ensures proper roofing ventilation. Moreover, an experienced roofer that doesn’t cut corners is one that installs roofing materials properly so that all aspects of your roof function optimally. Always work with a roofer that has established connections to your community and a resume of successful roofing projects. Ultimately, all roofs will require repairs and replacement eventually. But with quality construction and proper maintenance, you can expect your asphalt shingled roof to last 20 or 30 years.